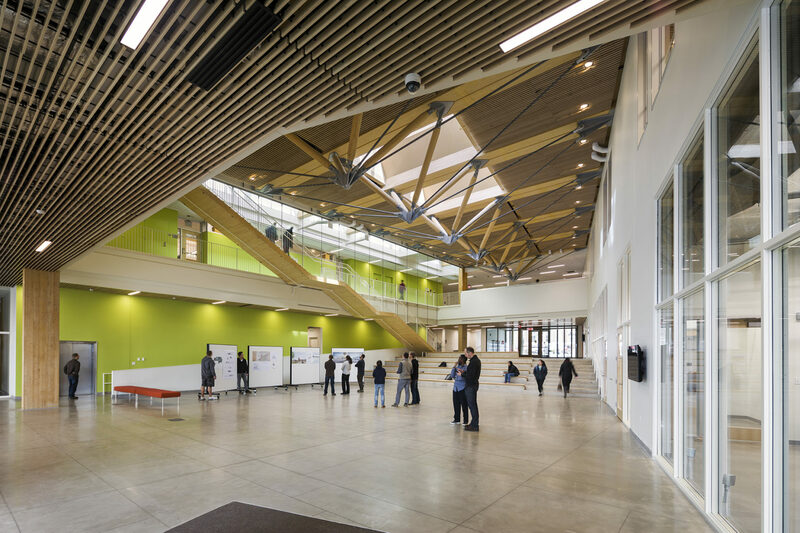 Bringing together the previously dispersed departments of Landscape Architecture, Architecture, and Building Technology programs, the new Design Building at the University of Massachusetts is a dynamic space of exchange, collaboration, and experimentation, that celebrates a shared commitment to sustainability. 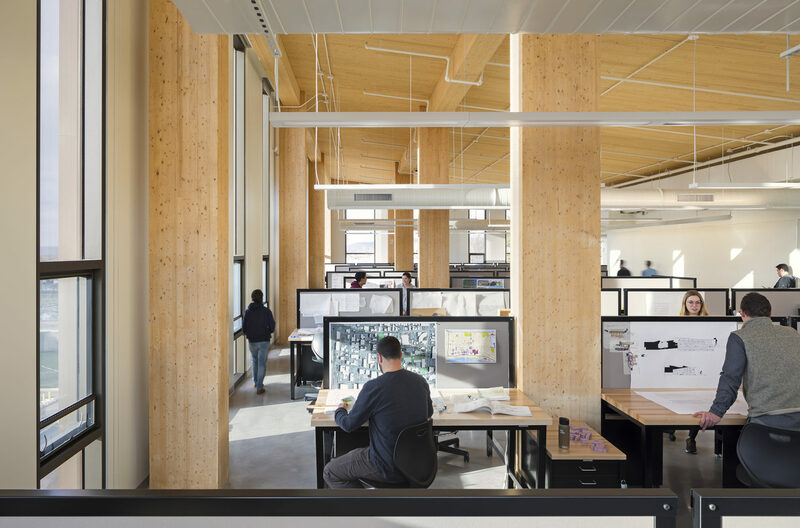 Designed by Leers Weinzapfel Associates the Design Building is a highly visible demonstration of sustainable design practice. 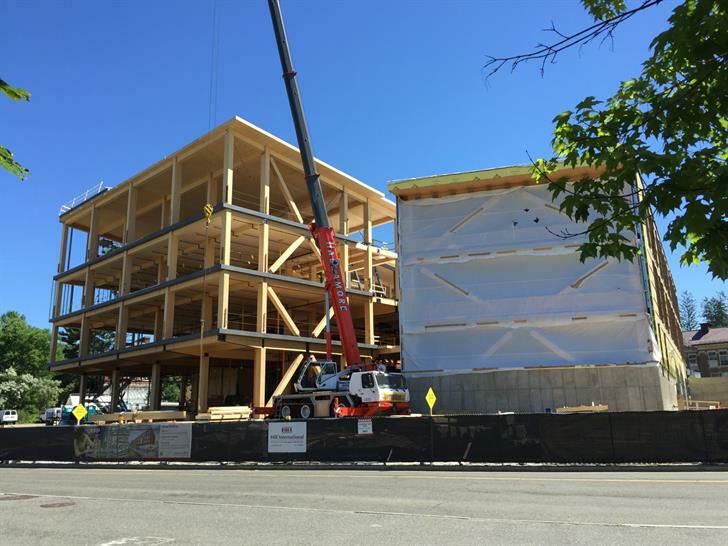 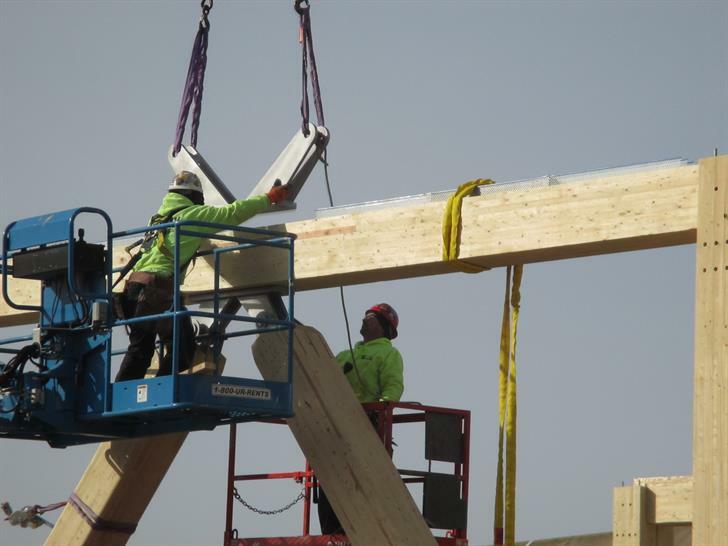 It’s the first and largest cross laminated timber (CLT) academic building in the US. 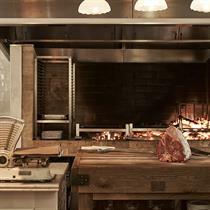 The envelope is highly-efficient, with dedicated mechanical equipments zoned for maximum efficiency, with radiant flooring and chilled beams for energy savings. Calculated expanse of glazing and skylights provide maximum daylight to the building’s interior to significantly reduce artificial lighting energy. 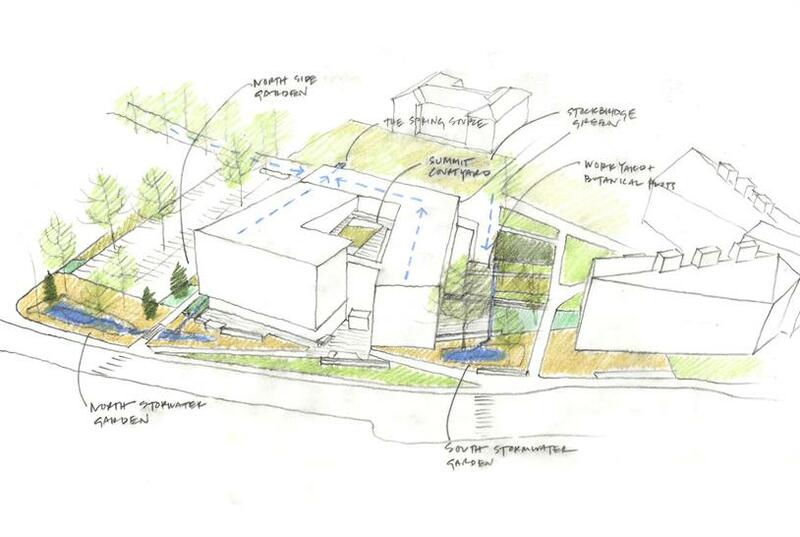 Storm water management concept directs roof runoff via sculptural scupper to a “spring source” at the top of the site and filters the water via series of successive bio-swales and timber dams to the lower end of the site and eventually back to the Connecticut River. 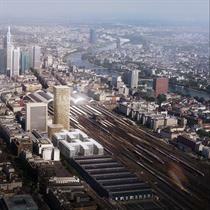 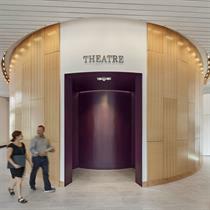 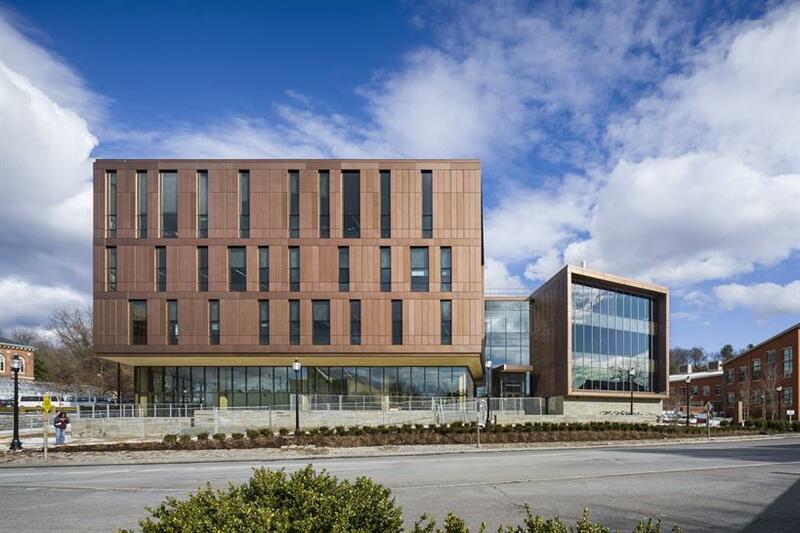 The design is targeted for LEED Gold Certification. 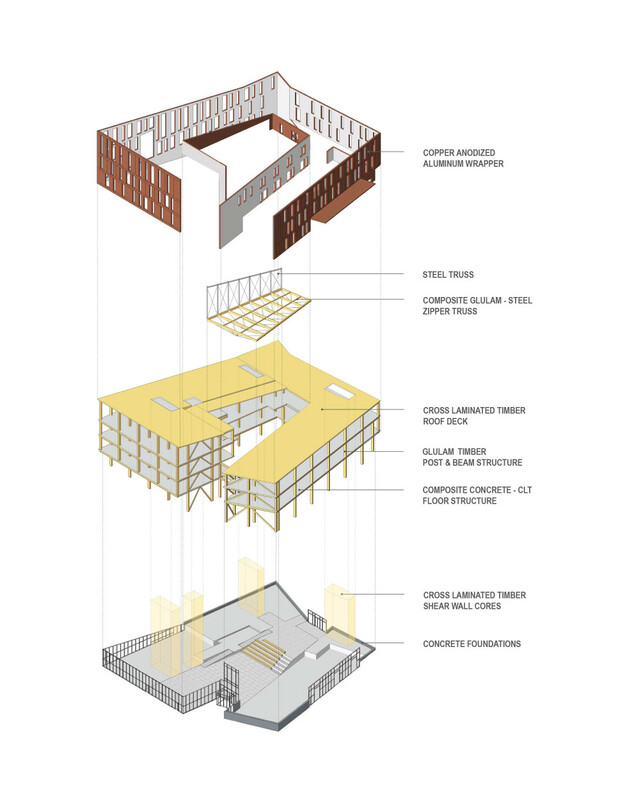 To create a center space of collaboration, a coiling and rising band of studios, faculty offices and classrooms surrounds a skylit Commons for gathering and presentations. 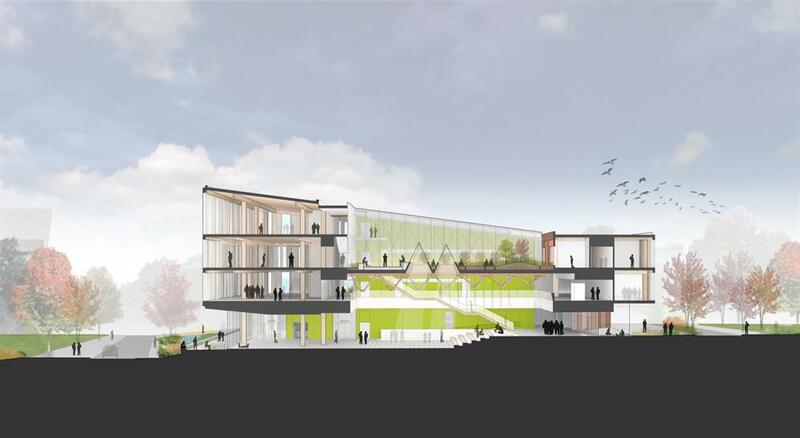 The building also forms a green roof terrace, a contemplative space shared by the studios and faculty and a potential experimental space for the landscape department. 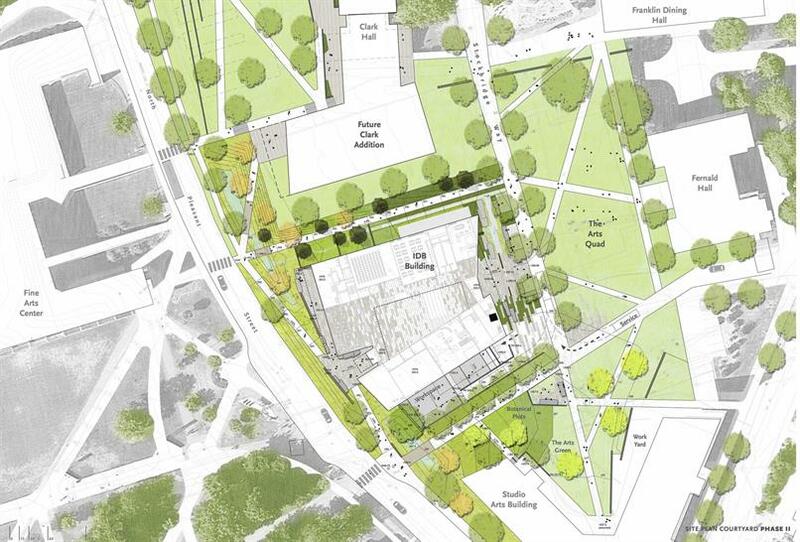 The slope of the site creates a tall four-story façade on the west facing the mall, and the rising structure invites the community into the building and reveals the activities within. 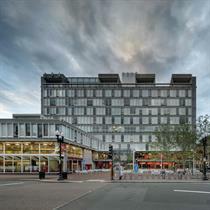 The east side of the building faces a series of smaller historic buildings along Stockbridge Way, and its three story façade fits comfortably into this context. 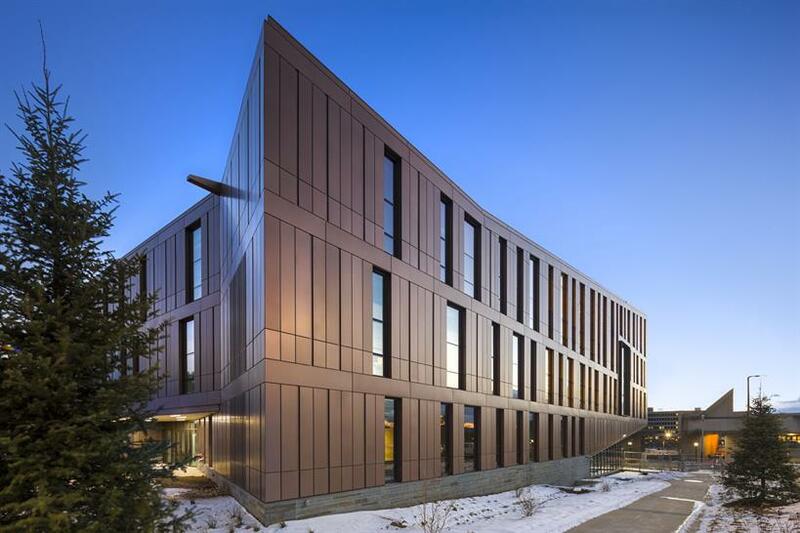 A durable envelope of copper-colored anodized aluminum panels and vertical windows suggest the color and patterns of forest and trees of the region. 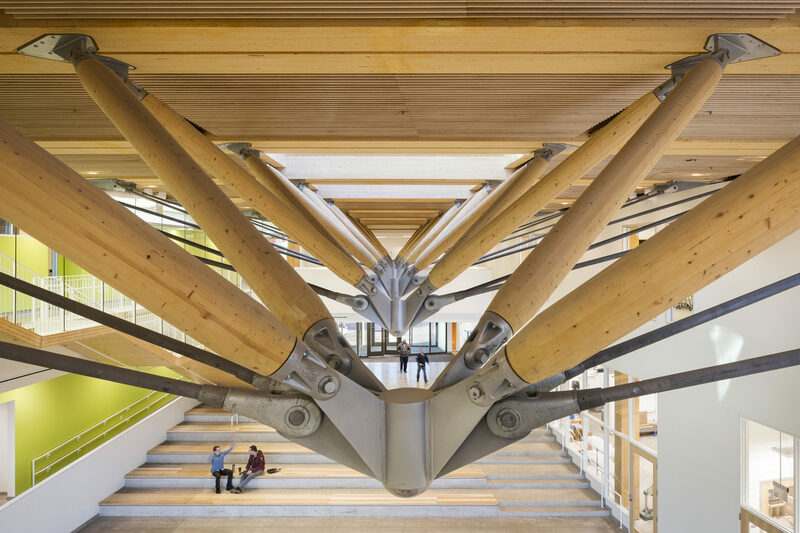 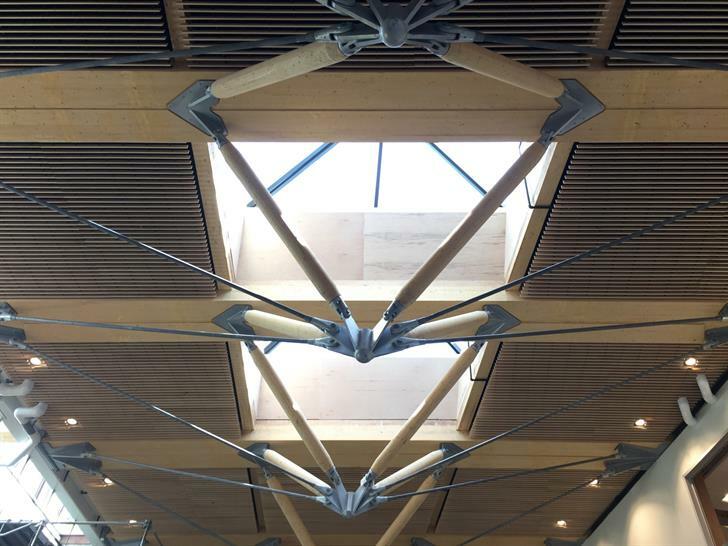 A highly innovative engineered timber structure makes this an example for the sustainable use of wood and builds on the leading edge research of the Building Construction Technology program. 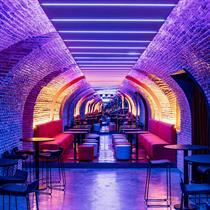 The WAN Awards Education category is open and the final deadline for entries is 30th June.